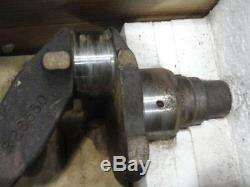 John Deere 3010 3020 Engine Crankshaft Part number AE26426 Part number on the crankshaft R26530 For Gas and Lp gas tractors A good clean take out crankshaft. None of the bearing have spin. The journals are clean and not scored. 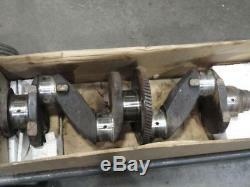 Just a good take out crankshaft. 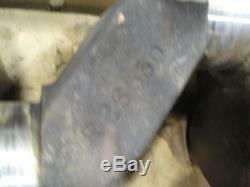 John Deere 3010 3020 Engine Crankshaft. 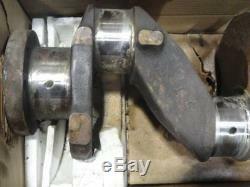 Part number on the crankshaft R26530. For Gas and Lp gas tractors. 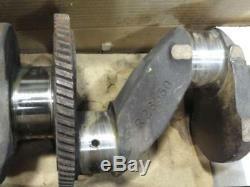 A good clean take out crankshaft. Parts Inquiries and General Questions Welcomed! Styled A B G 50 60 70 520 530 620 630 720 730. ALL INVENTORY IS NOT LISTED ONLINE PLEASE CALL. Be sure to add me to your favorites list. Get Supersized Images & Free Image Hosting. Attention Sellers - Get Templates Image Hosting, Scheduling at Auctiva. The item "John Deere 3010 3020 Engine Crankshaft AE26426 R26530" is in sale since Sunday, August 5, 2018. This item is in the category "Business & Industrial\Heavy Equipment, Parts & Attachments\Heavy Equipment Parts & Accessories\Antique & Vintage Equipment Parts".